FREE SHIPPING | 24 - 48 HOURS. With LOHE Spring Summer Collectionfull your live with color!! Enjoy with our New Collection! Pyjamas, nigthdresses, summerdresses and dressing gowns for all family! WITH LOHE, Feeling comfortable at home is not against being in fashion. You will love our pyjamas, exclusive designs, quality of fabrics and fine details. 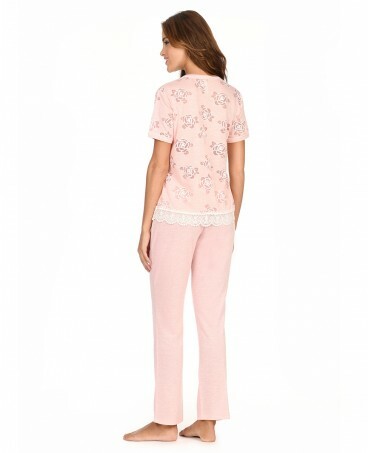 Pyjamas in light fabrics to feel comfortable, find your ideal pyjama in our website. If you are looking for a dressing gown, we show here infinity of possibilities, with many styles and patterns available, crossover, satin, light fabric with classic or modern design dressing gowns. You will fall in love from our nightdresses for their qualities, cotton, modal and viscose. We have from the most lingerie style to more sensual nightdresses. We can not forget our summer dresses, an explosion of color and prints for this summer, short or without sleeve ,this summer you will find your ideal dress for this summer. For the man of the house we have smart and comfortable pyjamas. Cotton, checked or striped pattern pyjamas. The quality of our garments will make you feel good anytime. . In our shop you will find many styles in a high quality with a very satisfactory results. In LOHE create exclusive garments for the household’s little ones, pyjamas for girls and boys from 4 to 14 years old. Now available our exclusive designs for the smallest ones. We make quality pyjamas with the latest designs. Find the striped pyjamas designed for a perfect fit with daddy and mummy.